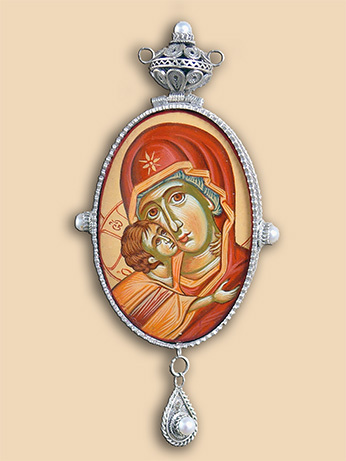 Bishop's panagia in silver filigree with hand painted Mother of God in egg tempera. 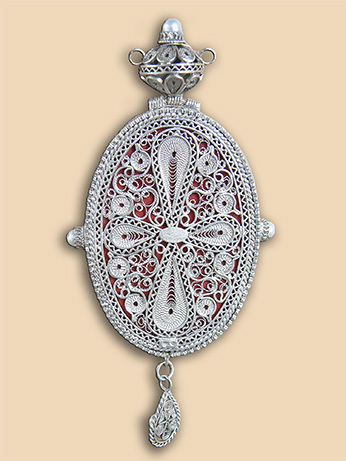 Part of a set which includes pectoral cross NK020. Material: silver 950, fresh water pearls, egg tempera. In possession of : His Grace Gregorios (Duric), Bishop of Zahumlje and Hertzegovina.